Alf’s caucus mates prefer he stick his borax only into Opposition politicians and spare his party colleagues. But it’s hard to resist taking a tilt at the Minister in charge of the Security Intelligence Service, Chris Finlayson, who has been apologising for dismissing Parliament’s select committee process as “chit chat”. Alf took a dim view of this remark because he is often advising his constituents, when they are bitching about this, that or whatever legislation, that they should shut up if they did not take the opportunity to influence things by making submissions to the select committee which considered the law when it was at the bill stage. Finlayson, who also happens to be our Attorney-General, has acknowledged that as soon as he said the process was just chit-chat, he knew his remark was “uncharacteristically flippant”. “It’s certainly not chit chat and I apologise,” he says. If we did win the next election, which one of us would be Minister of Foreign Affairs? Alf has politely (as always) declined a nice offer made by his mate Murray McCully. The offer was that he should step into the shoes of John Allen, who has quit as boss of the Ministry of Foreign Affairs and Trade to take up a position with the New Zealand Racing Board. Well, perhaps it wasn’t a firm offer, to be honest. He was testing the waters, so to speak, and trying to ascertain Alf’s interest. But Alf has no urge to stop representing the interests of the good people of Eketahuna North and will be sticking to his job here on the National back benches , where there is always the prospect of a long-overdue promotion to a ministerial job. Mind you, the report this week that gave Crusher Collins a clean bill of health means she may well be higher up in the queue than he is. More important, however, Murray’s chat with Alf somewhat scuttles the hopes of Terence O’Brien, the former New Zealand ambassador to the UN and a senior fellow at the Victoria University Centre for Strategic Studies. 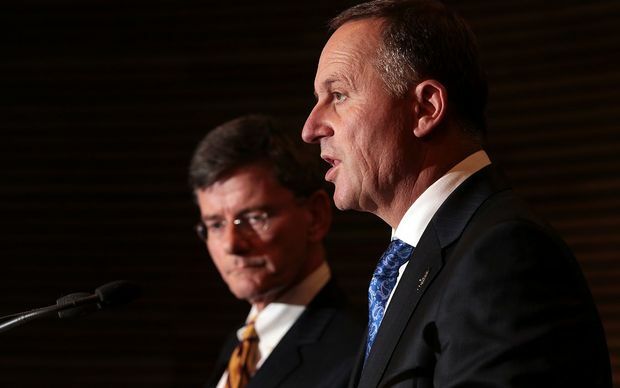 Radio NZ reported him as saying Murray must accept that only a top-ranking experienced diplomat can head New Zealand’s new role at the UN Security Council. Mr Allen’s controversial appointment in 2009 as the first non-diplomatic post to take up the top job was designed to promote New Zealand interests to the world and reinvigorate a diplomatic service marred by complacency. “It would be timely to revert now to appointing a seasoned professional, particularly in the next two years. Beyond that, Radio NZ essentially provided O’Brien with a platform from which to be bitchy. O’Brien said Allen has fulfilled Murray’s plan to corporatise the diplomatic service, changing the job of diplomat, which has created silos and forced the departure of experienced diplomats. But he said this approach was rejected in several countries and it should not have been attempted in New Zealand, though it could not yet be called a complete failure. Radio NZ also gave David Shearer the chance to remind us of his existence somewhere around No 14 or 15 in the Labour batting order. Labour’s foreign affairs spokesperson David Shearer said many experienced highly-skilled diplomats left the service in mid-career, because their job security was stripped away. Mr Allen has had to apologise to Mr McCully for the badly-handled Malaysian diplomat case earlier this year, something Mr Shearer said highlighted significant failings. “John Allen was completely oblivious to what was actually going on in his own ministry. McCully didn’t even ask about the situation. But Murray was having none of that pap and said MFAT was now in a strong position to capitalise on the opportunities presented by New Zealand’s term on the UN Security Council, and to meet other challenges. So why should Allen want to bugger off from the MFAT job? Besides getting away from a job in which he is constantly exposed to carping from Opposition politicians, Allen will get a pay rise. He gave up a million-dollar salary at New Zealand Post when he took up the MFAT job, slicing his income in half. The top pay band at the Racing Board – according to the Radio NZ report – is currently $960,000-$970,000. The racing industry deals with galloping thoroughbreds. They won’t express any disgruntlement in the same way as Labour’s braying donkeys. I’m more popular than that Kake feller, and I’ll sue if you disagree. 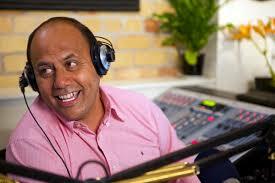 Far from Auckland, hunkered down in the Eketahuna Club, Alf’s mates couldn’t give a toss about whether broadcaster Willie Jackson should be sitting on Auckland’s Independent Maori Statutory Board. They do give a toss about process. They observe that Willie took a legal route on his rocky passage towards a seat on the board, which provides advice to Auckland Council on Maori issues. The High Court has ruled in his favour and found the board’s selection processes were flawed. About two months ago, the Mayor of New Plymouth was getting kudos from the Maori Party – and no doubt from lots of other Maori leaders – for acknowledging that our indigenous persons are special and should be given special treatment. His council had just voted for a Maori ward by seven votes to six. But he was getting plenty of stick, too, from folks who had the temerity to be miffed at the Mayor’s tinkering with their democratic structure (and doing it on the strength of a very close vote)..
One councillor – a true democrat – had the balls to oppose the move and resigned in protest. 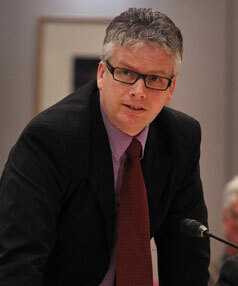 The mayor, Andrew Judd, showed troubling signs of being confused about what he was up to. 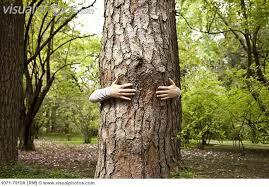 A hugged tree shouldn’t be so likely to complain about sexual harassment. All that remains is for Iain Rennie to join the principals of the CERA sweetie saga so we have a quartet of state servants being paid without having to turn up at the office. Alf makes this observation on learning that someone by name of Lisa-Marie Rachan, described as one of the public sector’s top communications managers, has been placed on sick leave. Her health has faltered at much the same time as questions are being asked about the the handling of the press conference to announce Roger Sutton’s resignation as the boss of the Canterbury earthquake recovery outfit. Dammit, for a moment or two today Alf felt he had been harshly treated. A bunch of Kiwis had been awarded something called the LUSH Prize. Alf imagined that if a LUSH prize was up for grabs, someone somewhere surely had nominated him. The idea he had missed out was enough to drive him – well, to drink, actually. But Mrs Grumble soon put him right. This, she assured him, was a LUSH Prize that no hard-working anti-PC redneck would want to win. And indeed, it was a prize Alf would not want to display in his trophy cabinet. The award was the 2014 LUSH Prize for lobbying against animal testing. It was made to an outfit called the the New Zealand Anti-Vivisection Society. The buggers are obviously proud of it, because they issued a media statement to brag that they had won it for having animal testing of legal highs banned. 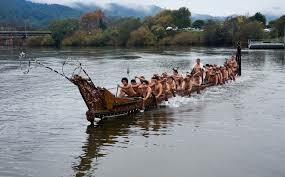 Mind you, we can’t get too much cargo into the holds of the Maori fleet. Dunno quite what to make of something Te Ururoa Flavell has been bleating about. According to a newspaper report Alf read today, he was banging on about some outfit called Maori Inc. Moreover, he was offering the leaders of this organisation some commercial advice. But what is the extent of his commercial experience? That would depend on what he did before becoming an MP, one imagines. You are currently browsing the Alf Grumble blog archives for November, 2014.